When Janeesh was diagnosed with cancer, his neighbors said it was because of the Sabbath. Vellarada [Vehl-ah-RAH-dah] Adventist High School is located in Kerala State in southernmost India. It serves children from kindergarten through tenth grade. The school was founded in 1982 and accommodates 300 students, most of whom are Christians. A new classroom block will provide room for more students and accommodate government requirements. To Sabbath School teachers: This story is for Sabbath, July 29. Click here for photos to share while telling the mission story. When Janeesh [pronounced: jahn-EESH] was diagnosed with cancer and given only six months to live, his neighbors said they knew why: It was because he had become a Seventh-day Adventist. And he had dared to argue with a Sunday-keeping pastor. Two years later, Janeesh is alive and well in southern India. People listen with astonishment as he speaks about Jesus. “When I tell them about the truth as it is written in the Bible, they eagerly listen because I am speaking from my own experience,” says 30-year-old Janeesh. 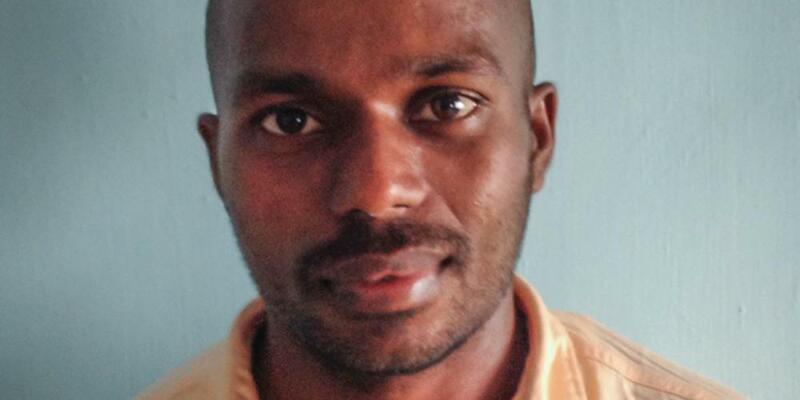 Janeesh grew up worshipping in a Christian church in a rural village. As a young adult, he studied at a seminary. While studying, Adventist friends invited him to attend a Friday evening worship service. The pastor spoke about Bible prophecy that evening, and Janeesh took careful notes. He asked many questions and then asked his seminary teachers for more information. When he heard about the seventh-day Sabbath, he wanted to prove it wrong. He again went to the seminary teachers and asked for Bible verses to prove that Sunday was the correct day of worship. The teachers could not help him. So, he attended the Adventist church on Saturdays and his home church on Sundays. After a time, he decided to be baptized and left the seminary in which he had been studying to enroll at an Adventist seminary. A year later his father died, and Janeesh returned home to care for his mother. He shared his faith with neighbors and friends. He and several Adventist friends gave away tracts to every person in the village. The young people organized a three-day meeting to discuss the three angels’ messages. Many people attended the meetings and asked questions. A Sunday-keeping pastor invited Janeesh and his friends to discuss the seventh-day Sabbath at his church. The pastor and his church members ended up accepting the Sabbath. But other Christians in town fought back. They organized their own three-day meeting. They brought in a young pastor to speak against the seventh-day Sabbath. Janeesh and his friends attended those meetings and took notes. On the last day, the preacher asked whether anyone in the audience had any doubts about the holiness of Sunday. Janeesh and his friends stood and walked to the front and read aloud many Bible texts about the Sabbath. The congregation was amazed, and the young pastor was speechless. He promised to invite a senior pastor to explain everything. After those meetings, many villagers looked at Janeesh with astonishment and respect. Some started taking Bible lessons. That is when Janeesh was diagnosed with cancer. Some Protestant pastors and church members said God was punishing Janeesh for becoming an Adventist. They also said he was being punished for openly arguing with the pastor. They predicted that God would punish anyone who preached against Sunday. Janeesh struggled with his faith. He grew discouraged and stopped talking about Jesus for several weeks. His friends urged him not to lose heart. He underwent 36 chemotherapy sessions as church members prayed for him. While still taking chemotherapy, Janeesh started to give Bible studies again. Sunday-keeping pastors told him to stop teaching about the Sabbath or his illness would get worse. But Janeesh didn’t listen to them. Instead, he and his friends decided to conduct meetings about the Sabbath. Eight young people were baptized after the meetings. This doubled the number of Adventists in his village. Janeesh rented a small room and started giving Bible studies twice a week. He organized prayer meetings in the room too. Twenty people could sit on the floor during the meetings. When more showed up, they sat outside the door to listen. Doctors have not declared Janeesh to be free of cancer. But they admit that they were wrong when they said he only had six months to live. Today he looks healthy, and he says he feels healthy. Janeesh and many villagers say this is a miracle. While few Adventists live in Janeesh’s village, the number of believers is growing. Soon there may be an active church in this village, a church with children who need a solid Christian education in a school with high standards and teaches in English. In a town about 90 minutes’ drive from Janeesh’s village is an Adventist school that will receive part of this quarter Thirteenth Sabbath Offering to help build a classroom block. These additional classrooms will make it possible to serve more children. There they will not only receive a high level of education but will learn about God, who is their Father and Savior.